"The divorces are final. The fun is about to begin." Divorce brings people together. Edie and Pen are two women who meet and become friends in Las Vegas, where they are both getting quick divorces from their husbands. Edie because she wants to marry her new fiance; Pen because her husband left her for another woman. In Vegas they meet a man who is interested in sleeping with one of them. Edie and Pen's friendship is tested when a shocking coincidence is revealed. 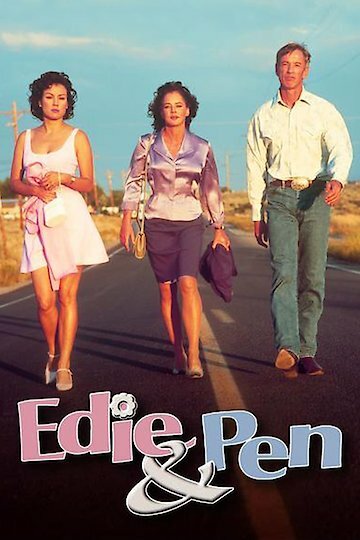 Edie and Pen is currently available to watch free on Tubi TV and stream, download on demand at online.